I have seen a few comedians who I saw before and many who I haven't. Since watching the show, I have had the pleasure of seeing several of these comedians in comedy clubs. The best ones that I've seen in person have been Alex Thomas, Howie Bell, Shang, B-Phlat, Roz G, Rodney Perry, Damon Williams, Charles Fleischer, Tammy Pescatelli, Tom Papa and Wayne Brady. 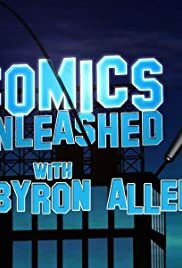 Seeing these people in person is much better than on TV but "Comics Unleashed" has given me the opportunity to get an idea of what these people can do. Comedy is a very personal thing. What makes one person laugh may bore someone else or offend another person. My husband and I both laughed while watching this show and other people will, too. Get ready for 2 more seasons.